"Cell type-specific expression of photoconvertible fluorescent protein KikGR"
Depositor: Haruhiko Koseki, M.D., Ph.D.
in Mice. Arterioscler Thromb Vasc Biol. ; 36(6):1141-51, 2016.
in brain injury. Brain Res. ; 1655:138-144, 2017. Frost LS, Dhingra A, Reyes-Reveles J, Boesze-Battaglia K.
Sasaoka T, Mori H,Watanabe M, Sasahara M, Fukunaga K.
neurons. Mol. Psychiatry, doi: 10.1038/mp.2016.200, 2016. Type-5 in the Dorsal Striatum Produces Autistic-Like Behaviors. myelination. Nat. Commun. ; 7:13478, 2016.
inbred mouse strain. Congenit. Anom., doi: 10.1111/cga.12199, 2016. Zhao J, Li SW, Gong QQ, Ding LC, Jin YC, Zhang J, Gao JG, Sun XY. 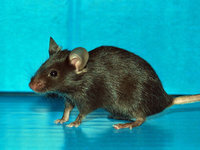 in C57BL/6J mice. J Zhejiang Univ Sci B.; 17(9):657-71, 2016. 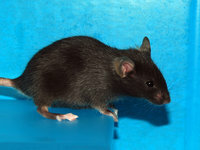 Fukuda A, Mitani A, Miyashita T, Sado T, Umezawa A, Akutsu H.
State and Rnf12 Dosage in Mice. PLoS Genet. ; 12(10):e1006375, 2016.
to atopic skin inflammation via IL-31 induction. Inoue J, Fujita H, Bando T, Kondo Y, Kumon H, Ohuchi H.
olfactory epithelium and olfactory bulb. Neuroscience. ; 344:167-177, 2017.
mice by Musashi-1 deletion. J Cell Sci.,  doi: 10.1242/jcs.197574, 2017.
binding target of peanut agglutinin (PNA) in the mouse testis. Histochem Cell Biol. ; 147(1):27-38, 2017.